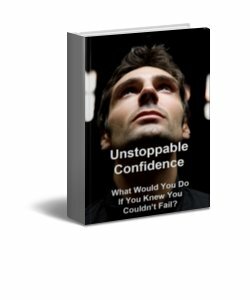 “Unstoppable Confidence” is a 6 part eCourse that is designed to get you that self-confidence that you so desperately want. This short eCourse define the aspects of how to get ahead in the workplace. You must sell yourself and do so at every opportunity that arises by using effective communication to get your critical points across to those that will have the authority to make a difference in your self-promotion. Learn how to impress the right people every time and how to increase you marketability. No one looking to move up, whether at a large corporation or at the local bakery should pass up this information eCourse. 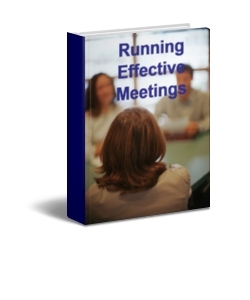 This eCourse provides you with a way to navigate through the issues of running a good meeting. It talks to the efficiency of running the meeting, the importance of agendas and following them, and how to make the meeting effective for those that have been asked to attend. You will enjoy this eCourse on how to be very good at leading, organizing and making the meeting worthwhile for all participants. This short eCourse will enlighten you to the possibilities of why meetings are necessary and why they have to be run in a manner that is professional and enjoyable. 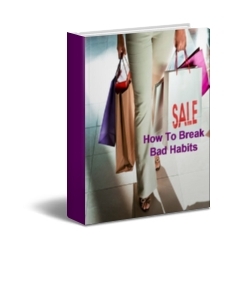 This eCourse doesn't tell you what bad habits you have, but it does tell you how to effectively change your behavior so these habits will not hold you back for succeeding in your endeavors.